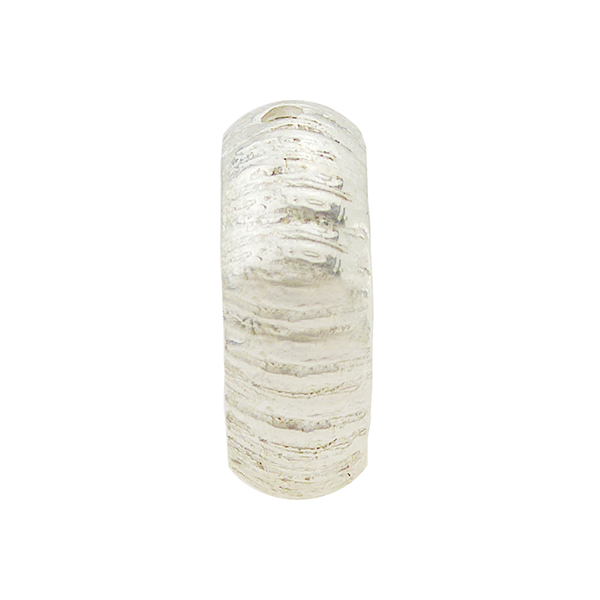 .925 Sterling textured ring, 16mm. 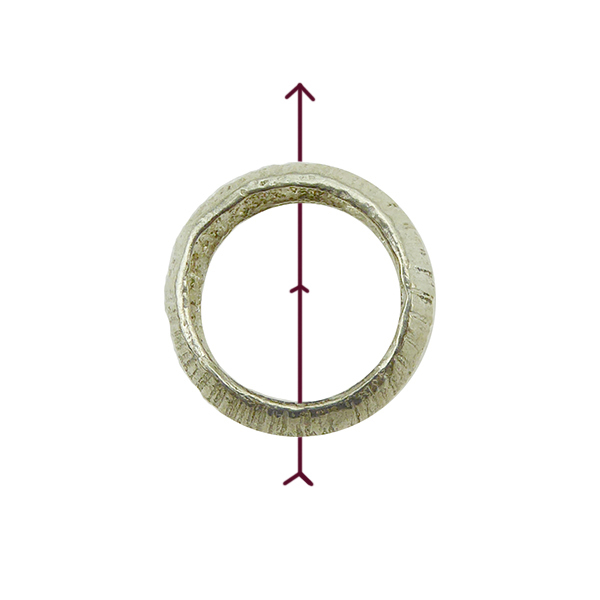 This ring has a through hole 1mm making it easy to add a small bead or as a link for your jewelry designs. The concave shape has a 12mm opening.